Hi guys I used to have a Hanger 9 p47 60 size until an unfortunate mid air collision estrogen it as the hanger 9 version is discontinued I'm looking for another similar sized version can any one please tell me if the eflite retracts will fit in the seagull model? Maybe someone can confirm my suspicion that the are the same models rebadged? No it's definitely not , totally different build configuration & a little smaller too. I've not seen any Hangar 9 products re badged as Seagull? What are you referring to Phil ? Craig , this guy on YouTube has fitted FMS aftermarket retracts into his so it looks possible? A google search on the dimensions of both those and yours would confirm. No problem Craig , there are quite a few bits on YouTube so you may find one with eflites on there. Some say the Seagull version flys better so it may not be all bad. I like the Hangar 9 Razorback too and kick myself not getting one when Sussex models had them on a special. 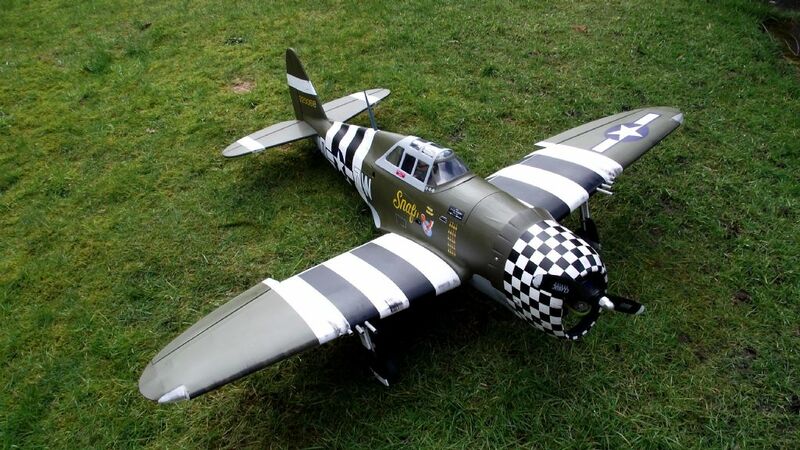 Ps Justin I did buy one of the Hangar @ p47 Razorbacks a year or two ago, but sent it back as the wings did not fit, which was rather frustrating as no replacement was available. It seems The Seagull p47 Thunderbolt is quite popular now? Hi Tim , yes there were seemingly a couple of issues with the Hangar 9 version. Frustrating indeed! The Seagull P47 does look nice & we have a couple in local clubs. The newer versions of the Hangar 9 60 size warbirds all seem to have suffered from some build quality issues and don't seem to be as good flying wise as the older range such as the Corsair , Hellcat and the silver P47. I have the 60 size Corsair new in the box waiting to be assembled. Thanks Justin good to hear and good luck with the Corsair . Another great looking plane! Paul that price is unbelievable, a bargain . It looks such a nice plane that I couldn't resist. I managed to get a Laser 100 along with the 80 I was buying so I also ordered the kit . It won't be delivered until march but I still have a few repairs and service jobs to get through so that's no problem . I think it might be nice to fit working lights in the wing ? If it's not too hard. If you can overlook the slightly lengthened nose these are excellent - I have seen two go and they both flew great. Seagull build quality is excellent, though the retracts tend to be iffy (this is based on my Dad's Spitfire and plenty of reports online that say the same). Buy some cheap powerful electric units from Hobbyking and you should be in good shape. I worked it out there is around £1200 in it, as it has a Powerbox dual switch £75, a rx, £75, 8 quality servos (£50 each, inch Savox metal gear digi retracts), 3 Eneloop battery packs, plus all the other bits, as the airframe is £300 new MRP. The model was in a RCM@E mag a while back, under "Green and Pleseant"
It's a good flyer, sedate in the stall, and looks good. As said, the retracts are ok, but thinking of adding a pair of electric ones in the future- that would then free up those expensive Savos servos up. Thanks Matty and Paul it sounds great . I look forward to when it arrives. I will check out the HK retracts too . I was talking to my flying buddy at the patch on Saturday who has the Hangar 9 version. He's had it a good while and has only just got around to assembling it. He too has come up with a couple of bad issues including the wings not fitting into the plug sockets and a big gap around the horizontal stabiliser. To late for him to return it unfortunately so he's having to make modifications, hopefully the Seagull airframe will be better. These are the ones you want - might be a bit overkill, but better that than too bendy. 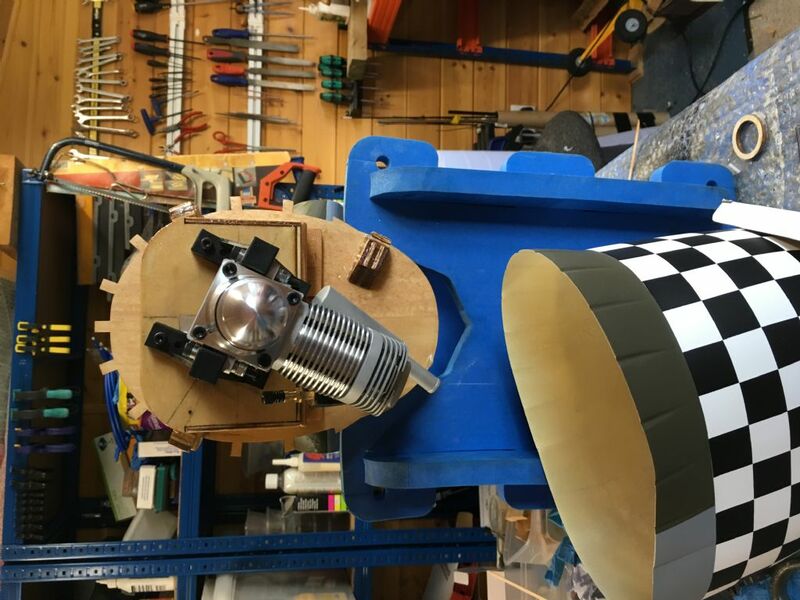 My Dad is installing some in his Seagull Spitfire; that is a fair bit bigger than this model, but they still should be made to fit in your Jug. It really does show how HK prices have gone up though; they were about £15 each when he bought his! Hi . Chaps the build is well underway now despite heatwave . I bought the retracts just as MattyB kindly suggested(Thank You!) and am delighted with them. I did have to drill them out to 12mm as they were for 11mm diameter Oleos and the nice HK ones I found were 12mm. I have put the engine in and mounted the tank, and done plenty of reinforcing in the front end. I mounted the 12oz tank I bought below the shelf to suit the diagonal mounting I am using on the Laser 100. Photos to follow. Here is the front view with Laser 100 mounted diagonally. It fits perfectly and the exhaust reaches the bottom with no extension. I also have needle valve access from the side( not often needed on Lasers) , plus glow plug side access. I reinforced the inside of the engine wall with fibreglass/epoxy and added an extra ply layer below the firewall. The cowl mountings were laminated to deepen them as I added threaded metal inserts into them and will be securing the cowl with M3 plastic bolts which I now use on all new planes( reduces/eliminates cowl damage on nose overs). Plastic bolts seem to work way better an suffer less from vibration loosening.